Safeguarding your people, material assets and operations is vital to the health of your business or organization. Engineered Controls uses today’s most advanced solutions to fight crime and promote safety. We provide intrusion detection solutions for many facilities such as corporate office buildings, industrial facilities, schools, government and military facilities and many more. From a simple storefront intrusion system to UL listed burglary systems that integrate video and access controls, Engineered Controls can do it all. Although many facilities have similar needs when it comes to safety and security, Engineered Controls recognizes the importance of creating customized solutions for each of its customers. 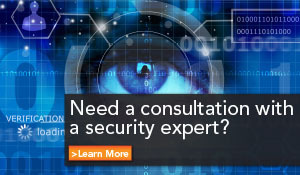 Our security solutions are built with the user in mind and contain an efficient and straightforward approach. When you’ve made the investment to protect your people, property and assets, you will want to ensure your business is armed with 24-hours a day protection, 365 days a year. Engineered Controls is never more than a phone call away. We have partnered with a number of U.L. listed and CSAA certified monitoring centers to provide remote monitoring solutions for both security and fire/life safety applications. Engineered Controls provides the on-site installation and service for all sensors and systems and our Central Monitoring Station partner provides best-in-class monitoring and response. Engineered Controls’ security management systems can be used to control and manage your HVAC units, lighting, energy, access and video and intrusion detection solutions as well. To learn more about how our Intrusion Detection solutions can improve your business, contact your local Engineered Controls office today. 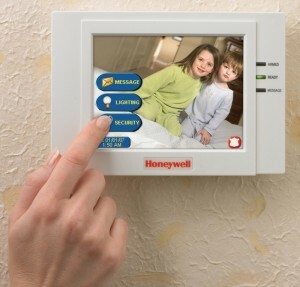 Honeywell Commercial Security Systems – Engineered Controls is an independent Honeywell Authorized Dealer for Commercial Security Systems (CSS). This means Engineered Controls is trained install our high quality line of products that satisfy your video, access control, intrusion and integrated system requirements. With extensive industry affiliations, Engineered Controls can meet strict standards for specific industry certifications. And we remain at the forefront of commercial security applications and on the cutting edge of the latest technology. Engineered Controls has done an outstanding job for us from the very beginning. Their team is very experienced, helpful, and prompt in helping us with any HVAC control issue we have. Their service is second to none.